The calendars are at the printers, the Christmas card has been painted and has gone the same way, I have completed a commission, and the first 3 etchings of this term are all underway. 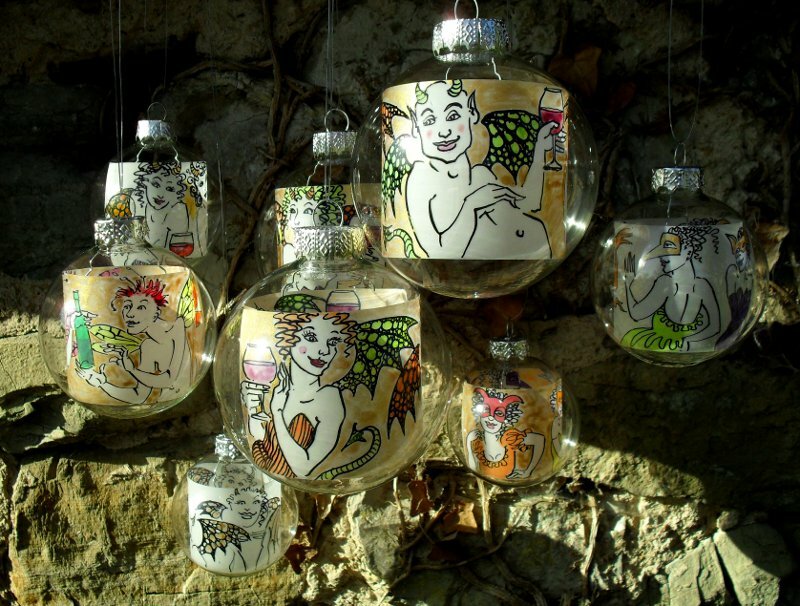 At this point, even though I’m actually on holiday, I am feeling pretty efficient and even slightly confident that I will have some baubles ready for the couple of Christmas markets I have coming up. 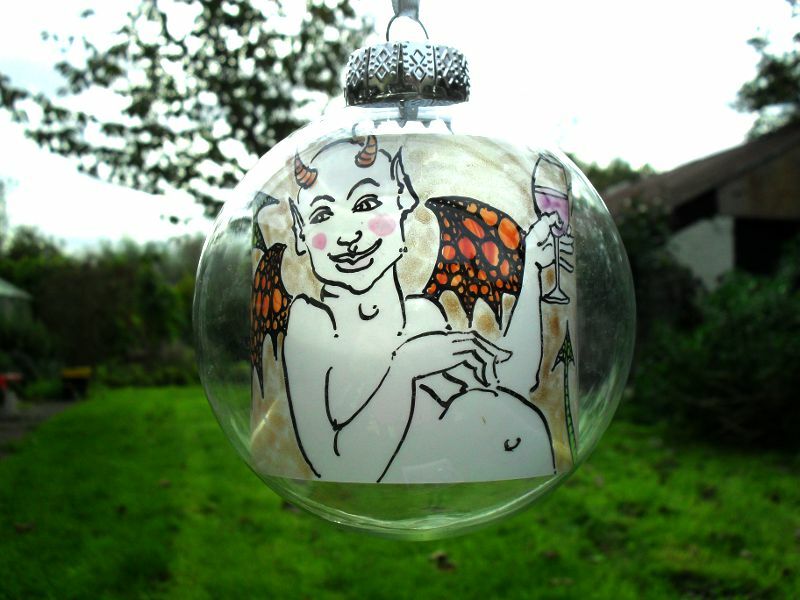 When I first thought I would do baubles for last year I intended that I would draw on the outside of them with felt pens designed for glass, but I didn’t like the pens at all, and so, finding myself last year with around 80 glass baubles with no means of decorating them I had to improvise. 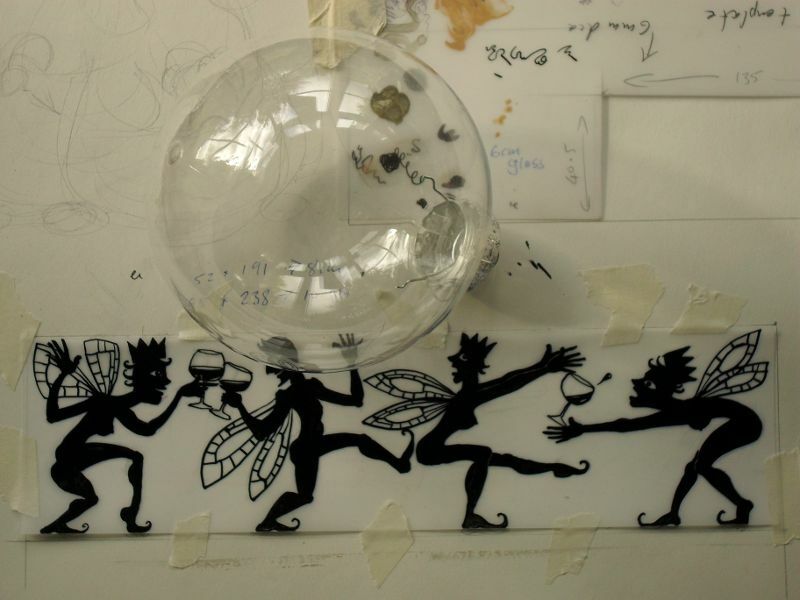 I had a cunning idea and filled them all with little drawings, drawn on strips of Mylar with Indian ink and decorated with a little colour and gold paint. 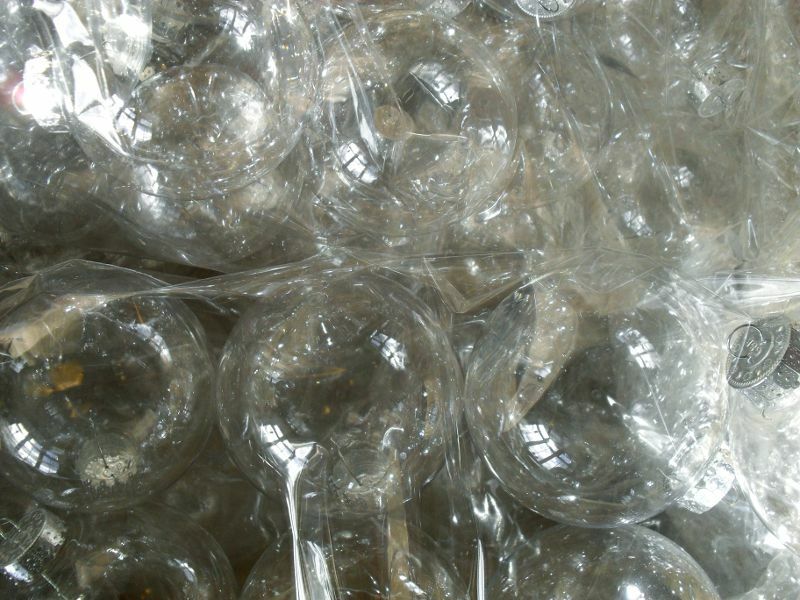 The Mylar strips I rolled up and poked through the top of each bauble, whereupon it pleasingly uncurled to fill the whole bauble (assuming one had got the length and width of the Mylar about right). So, if you happen to be local, I will have these for sale at our ‘Christmas at Spring Farm’ event on 30th November – 2nd December, and also at the Christmas fair at Ilminster Arts Centre at the Meeting House on December 8th. If you’re not local and can’t live without the baubles, send me an email and I’ll see what I can do! What a great idea. 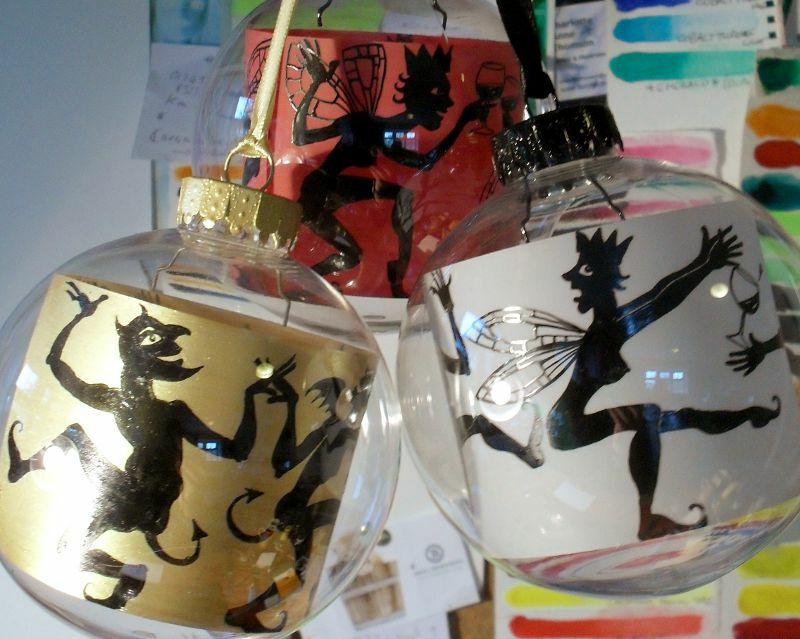 And a delightfully wicked way to make some truly perverse Christmas decorations…..Love it!